MOOSIC, PA (December 19, 2018) - The Scranton/Wilkes-Barre RailRiders will host two job fairs in January to hire seasonal employees for the upcoming 2019 season at PNC Field. 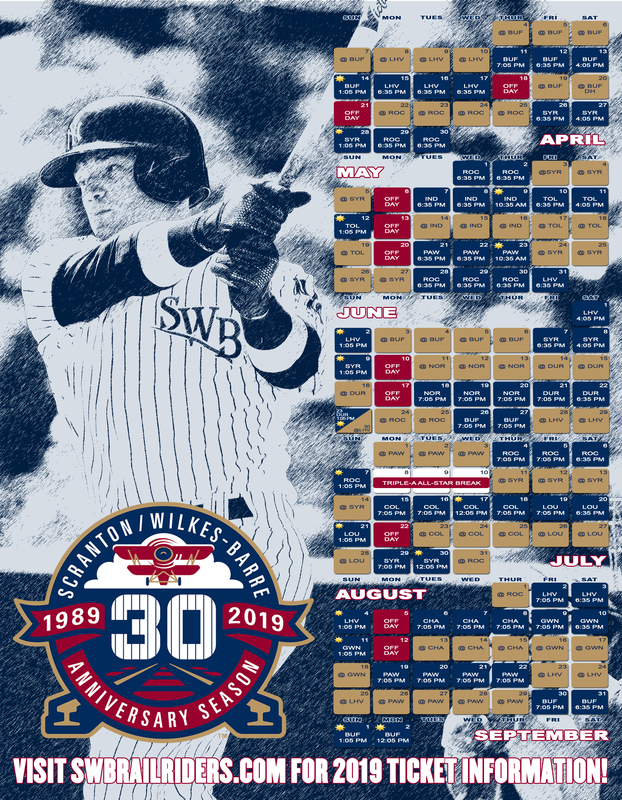 The club is celebrating 30 years of professional baseball in Northeast Pennsylvania and is looking for energetic and dedicated personnel for 70 home games plus additional events during the new calendar year. The first job fair is on Saturday, January 12, 2019, from 10 A.M until noon. A second will be held on Wednesday, January 16, from 6 to 8 P.M. Those interested in seasonal employment only need to attend one of the two events to be considered. Potential employees will fill out applications and the front office staff will do interviews on the spot during the job fair. "Our game day staff is vital to what we accomplish at PNC Field," stated Josh Olerud, the RailRiders President and General Manager. "We are working on bringing a 'Fan First Philosophy' to one of Northeast Pennsylvania's premier experiences. We need individuals who will take pride in what we do every game." The RailRiders are looking for game day employees to fill a variety of roles within the organization. The game day staff includes bat boys/ girls, club level attendants, EMTs, grounds crew, parking attendants, porters, security staff, ticket sales representatives, ticket takers, ushers and video/ production assistants. The team is also looking for members of the Pinstripe Patrol, the on-field promotions crew, as well as fun zone employees and performers to serve as the team's mascot during games. Legends, the official catering, concessions and merchandise provider of the RailRiders, will also conduct interviews during each job fair. Legends is seeking concession stand managers, workers and cashiers. In addition, Legends will hire prep and grill cooks, food vendors, general kitchen help, suite attendants and retail associates. Interviews for internships will not be conducted during the two RailRiders job fairs. More information regarding internships will be available in January. The 2019 season begins on the road at Buffalo on April 4 with the home opener scheduled for Thursday, April 11. 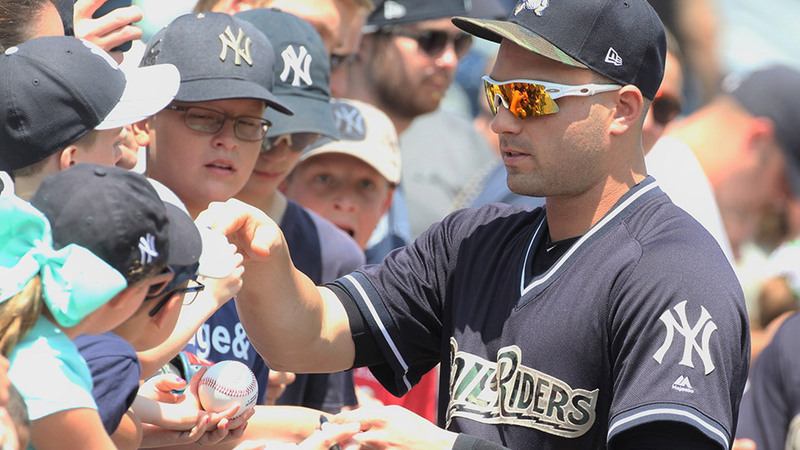 For more information, contact the RailRiders front office at (570) 969-BALL.